One of the most effective strategies for improving one’s Freestyle Frisbee game is self-reflection. After a jam or performance, it’s helpful to take a moment to think back and recognize what worked, as well as where we can improve and grow. Since this site’s inception in 1998, I’ve been doing a similar exercise. As I sit and reflect on Heinsville and FrisbeeGuru in 2017, I am taken aback at just how much we’ve accomplished. I also want to share my thoughts with you because you’ve all been such an important part of this amazing journey. Looking back, all three of these were successful. With the help of Jakub “Mystic” Matula and Chris Bellaj, we hosted 14 live streams. We also added our own streaming service so we no longer need to use Youtube, UStream, etc. This means no commercials and that we control the content. For FPAW 2017, we placed a Facebook ad promoting the finals. This resulted in an uptick in viewer traffic, surpassing all other FPAWs except for 2013. And, of course, with the weekly podcast on Sunday, weekly polls on Thursday, and other content (like the training videos) on Tuesday, the goal of three new items per week was easily met. Shortly after this conversation, Shootin’ the FrizBreeze was born. Then, we rebranded Heinsville to FrisbeeGuru, which immediately grabbed people’s attention and made it easier to point non-Frisbee friends to the site. We also organized our Facebook presence, added a mailing list, and began promoting FrisbeeGuru and all our projects. Then, we added the donate button, T-Shirts, and the Wall of Gurus. Most importantly, we clearly defined our mission. What’s been most amazing about 2017 is how many of you have joined us for this adventure; comments are up 10x from years pasts (even more than that on our facebook posts), people contact us regularly with feedback, ideas, or questions (some from regular freestylers and others who are new to the sport). 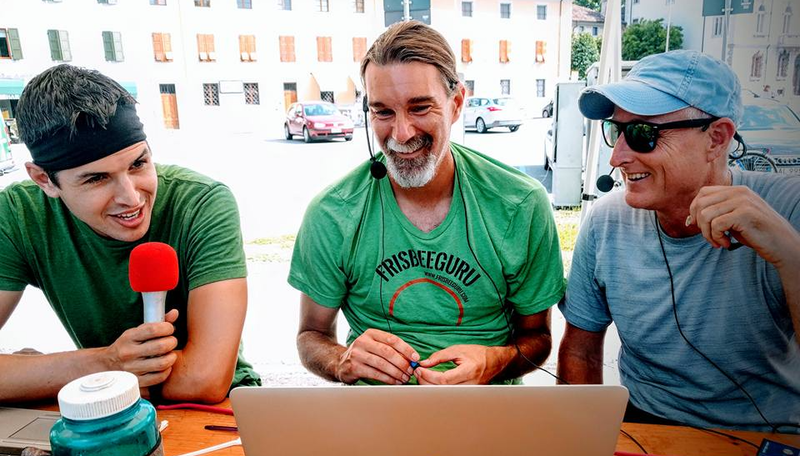 We’ve had more outside blog posts and photo contributions this past year than ever, including people proudly wearing their FrisbeeGuru T-Shirts, and many generous donations toward our continued endeavors. THANK YOU! Technical issues caused some of our live streams to fail this year. This included both issues with hardware on-site and issues with our live streaming service. Certainly sometimes things just break, but I’ll be adding more backup planning and improving the software. I’d like to improve our overall audio and video quality. What we produce is pretty good, but I believe increasing the polish would lend more credibility to our various projects. I’d like the FPAW live stream to be more like a show that communicates not only to the knowledgeable freestyler, but to a lay-person audience. Therefore, I will be working toward adding more commentary and other filler material to keep people engaged with the live stream. We’ve experimented with this in the past and the feedback has been very positive. I think we now have the expertise to bring this to the next level in 2018. 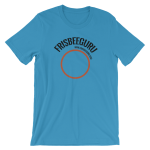 FrisbeeGuru T-Shirt sales and donations have been appreciated; enabling us to do many things this year that we would not have been able to otherwise. In order to keep our growth and improvement on track, we are launching a Patreon campaign on Feb 4th, 2018. Patreon is basically a crowd sourced funding platform, similar to Kickstarter, allowing fans to become monthly Patrons of projects that they love (like FrisbeeGuru!). Looking back at this past year, I could not have imagined accomplishing so much without the help of so many enthusiastic jammers, partners, fans, and contributors. What excites me the most is that looking ahead to 2018, I am more motivated and charged up than ever. Now I am asking you to share what you think: What have we done well? What could we do better? Is there anything that you suggest that we can try? Let me know in the comments, or send me a private message via our contact form or via email, Facebook, etc.